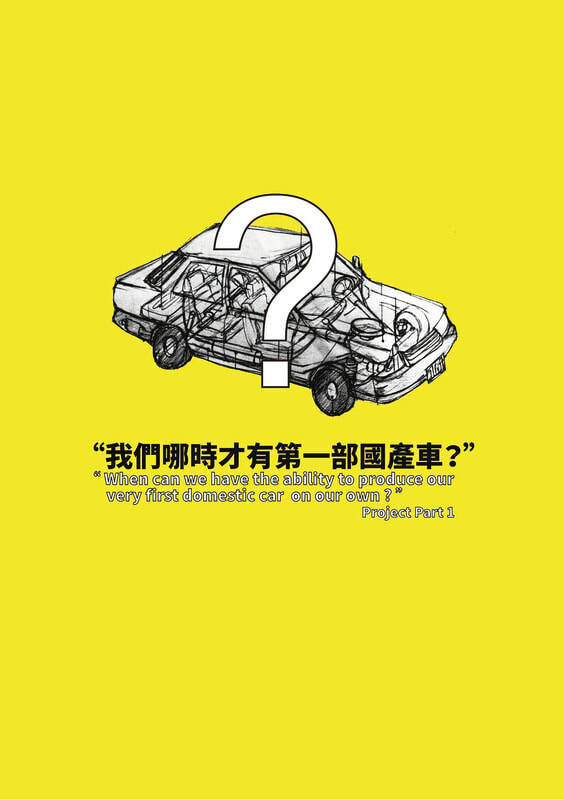 ​"When can we have the ability to produce our very first domestic car on our own?" In the project, there happened to be two handbooks. One of the handbook is kept at the exhibition site, for audience printed in black and white. The audience must be introduced through sketch and introduction, then entering the exhibition work. The other handbook is produced after the exhibition is completed. And that contains the work history archive, topic of the workshop and video record from the exhibition. This handbook provides the database of the project “When did we have the first domestic car?” meanwhile this book also provide a new direction of thinking for the project: An art project provides opportunity of service to the left behind technicians staff of OEM kingdom, and regarded that as a reflection for the OEM Kingdom, reading through these database helps reader, making reading is no longer limited only to words but, to turning that into action, an independent production of knowledge.